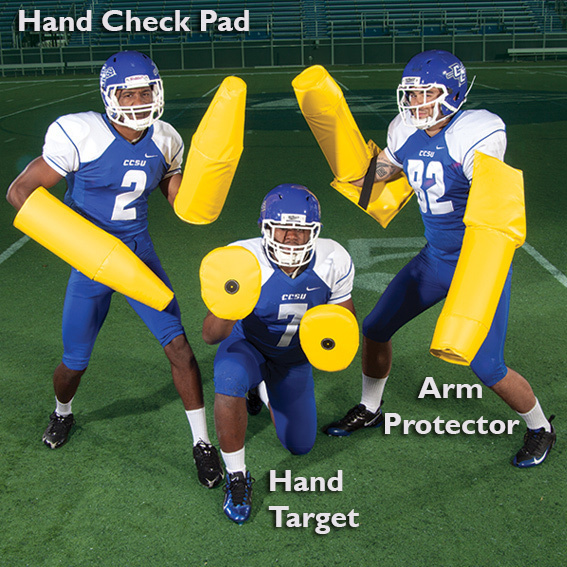 The ARM PROTECTOR offers protection for the entire arm from the point of the shoulder to the wrist. When practicing pass rush moves, a defender can attack full speed and violently without risking injury. Sold in pairs = 1 for each arm. "The coaching point is to teach pass rush moves against live targets!"